If you or someone you care about has been injured on the job, it can be comforting to know that the financial burden can be eased with workers' compensation benefits. Employers in California are required to have workers' compensation insurance so the state can provide monetary compensation to workers who become injured at work. Los Angeles personal injury attorney Edward Deason can help employees file a workers' compensation claim so they receive the benefits they deserve. 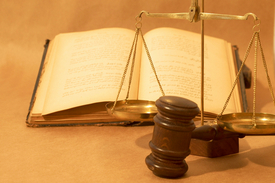 Contact the Law Offices of Edward Deason today for a case evaluation. Claimants are not required to gather evidence or documentation showing that the employer, co-worker, or a third party was negligent; however, they must be able to show that an injury exists, the severity of the injury, and that the injury was sustained at work. The amount that can be obtained in workers' compensation cases is capped. Here is an overview of workers' compensation benefits in the state of California. In cases of temporary disability, workers may obtain two-thirds of their average wage for each day of work missed due to the accident; however, the state legislature does place minimum and maximum caps on the amount that can be obtained. In 2013, injured workers can receive a minimum of $160 and a maximum of $1,066.72 a week. In most cases, workers can receive compensation for a maximum of 104 weeks within five years of the injury. In the case of serious injuries, workers can receive benefits for 240 weeks within five years of the injury. To qualify for temporary disability benefits, the worker must miss a minimum of three days of work as a result of the injury. Workers can also obtain permanent disability if the doctor determines that the effects of the injury are permanent. The worker's doctor will detail the type of injury that was sustained, the level of impairment that results from the injury, and the impact that the worker's job had on the injury. If the employer agrees with the doctor's assessment of the worker's health, the report will be used to calculate the permanent disability benefit amount. If the employer disagrees with the report, Los Angeles construction accident attorney Edward Deason will work with your claims adjustor to resolve the dispute. The amount that can be obtained for permanent disability varies greatly and is subject to minimums and maximums set by the state, all of which depend on severity and date of the injury. Payments to financial dependents; these are paid at the same rate as temporary disability benefits, with a minimum amount set at $224 per week. If you have suffered an injury at work, contact the Law Offices of Edward Deason at your earliest convenience. Attorney Deason will review your claim and determine if a workers' compensation or personal injury claim should be filed against your employer.